On sale, at the Goodwood Festival of Speed 2018 Bonham's auction, will be a 1965 Aston Martin DB5. However, what makes this DB5 particularly special is that in 1995, along with actor Pierce Brosnan, it helped revive the ailing James Bond film series. The Aston Martin DB5 has always been synonymous with James Bond since first appearing in the 1964 movie Goldfinger. By late 1992, big questions were being asked about the future of the James Bond movie franchise and whether it still had any place in the modern post Cold War world. Licence To Kill (released in 1989) had failed to ignite the imagination of fans despite being critically acclaimed as an excellent thriller. Actor Timothy Dalton had stepped away from the role of James Bond leaving the door open for Brosnan, who had coveted the role for many years. An Aston Martin DB5 had not featured in a Bond movie since Thunderball in 1965 and the reintroduction of the classic car was partly to appease and excite traditional fans. 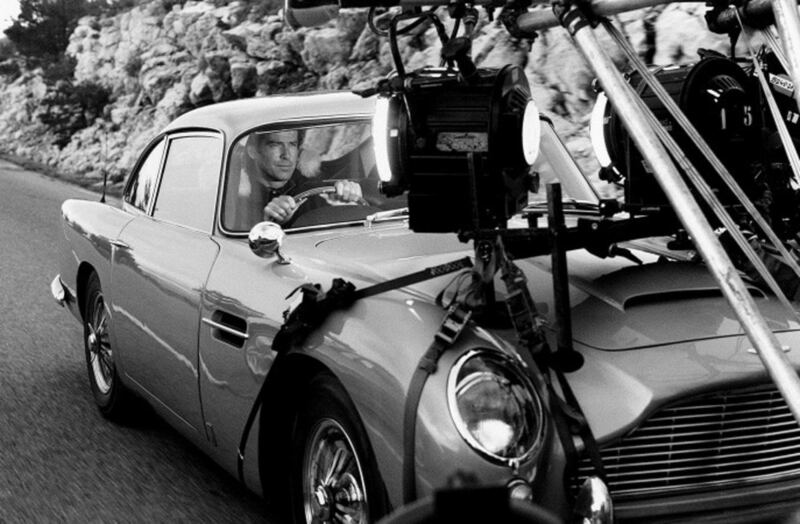 The DB5 features early in the film in a wild car chase sequence between Bond and villain Xenia Onatopp (driving a Ferarri F355) in the hills around Monaco. There are less gadgets than seen in previous Bond cars and the focus is on a thrilling race around twisting mountain roads. The majority of the gauges (eg speedometer, tachometer, etc) in the dashboard of the 1965 DB5 were all designed and supplied by SMITHS Instruments. SMITHS had a long-standing association with Aston Martin and provided speedometers, tachometers and other instruments for the vast majority of the early classic models, many of which are still available today. Bond's GoldenEye DB5 was sold at auction at the Goodwood Festival of Speed on July 13th for £1.95 million, higher than the expected £1.6 million. However, this was eclipsed by the sale of the Aston Martin DB4 GT Zagato, driven by Jim Clark at Le Mans, which sold for £10 million.